Giulia Andreoni a native of Rome, received her B.A. and M.A. degrees from Sapienza University of Rome in Modern Languages and Literatures (English, Italian, Spanish), with a specialization in Shakespearean criticism. Her prime focus is on the Renaissance and early modern comparative literature with special attention to questions of intertextuality, emblem studies, and the relation between word and images. Andy Leonel Barrientos-Gómez completed a dual master’s in Hispanic and Brazilian Literature at the University of New Mexico. Andy is developing his interests around the intersections of Brazilian and Mexican cultural and literary production, specifically concerning its influence and response to social and political transformation. Other areas of interest include contemporary Brazilian critical theories and the dialogue between Brazilian and Mexican visual culture and Neoliberalism. Martina Broner works on Latin American film studies, media theory, and environmental humanities. Engaging film, photography, and virtual reality, her research understands nature as media, focusing on various territories of the Amazon rainforest to address questions of reciprocity between the material and the symbolic in the context of environmental crisis. Sam Carter researches the relationship between sound and the literary text in the Southern Cone during the late nineteenth and early twentieth centuries. Along with this broader focus on sound studies and Latin America, his work also engages questions regarding media theory and the digital humanities. My dissertation project, History and Existence: Marxism, Presentism, and the Philosophy of History in Postwar France, concerns what I identify as a shared problematic across the major strands of modern French philosophy, namely the effort to define logic in terms of, rather than prior to, existence, and shows how the major concerns that this problematic gives rise to are crucially implicated in problems within Marxism as a ‘philosophy of praxis’. The efforts to renew Marxism in terms of the priority of existence in the works of Sartre, Merleau-Ponty, Fanon, and Althusser are central to this investigation, which also touches on the aesthetic implications of this problematic in the writings on visual art of Sartre and Althusser and in the cinema of Godard. Forthcoming publications (in French) related to my research include an essay on the debate between Sartre and Lefort, and a study of the concepts of history in Althusser and Sartre (forthcoming in Les Temps Modernes). Prior peer-reviewed publications (in English) include texts on Roberto Schwarz, Fredric Jameson, and Nabokov. I am currently a visiting researcher in the philosophy department at l’Université de Paris X – Nanterre, and Lecteur d’anglais at l’Université de Paris VIII – Vincennes–Saint-Denis. Peter Caswell holds a B.A. (Licence) in Philosophy from Bordeaux III – Montaigne University in France, and an M.A. in French Studies from the University of Minnesota. Peter is mainly interested in the relationship between Indigenous peoples of the Pacific and colonialism in the Francophone context, and how Native cosmologies and theorizations of spatiality, materialism, and geographies can articulate the (post)colonial. He also hopes to explore questions at the intersection of queerness and decolonization, especially in the Caribbean context, to offer new critiques of imperialism. After receiving my B.A. and M.A. degrees from Sapienza University of Rome and having studied in Jerusalem (Hebrew University), I am currently completing my Ph.D. in Italian Studies, where I specialize in poetry with strong interests in critical theory, feminism and cinema. My dissertation, titled “Anadiplosis/Climax. Ascensions and Downfalls in Italian Poetry”, stems from the analysis of the rhetorical device called anadiplosis and traces its presence in a collection of texts ranging from the Middle Ages to the twenty-first century. I am working towards a new configuration of the relationship between Italian lyric and the field of rhetoric, also setting Italian literature in an innovative dialogue with Jewish and Christian mystical practices. Mary Jane Dempsey completed her BA in History and International Relations at The College of New Jersey, while also conducting research at the Università per Stranieri di Siena and Spring Hill College (SHC) Italy Center in Bologna. She earned her MSc in History of International Relations at the London School of Economics, where she focused on migration politics, conflict studies and conceptions of national identity. She received the Humanities Centre of Research Fellowship from the University of Warwick in 2017. While at Cornell, Mary Jane intends to further develop her knowledge of postcolonial, feminist and memory studies. Jackqueline Frost is a PhD candidate in Romance Studies (French) at Cornell University. She is currently a visiting scholar in Philosophy (LLCP) at Université Paris 8 and was a 2017-2018 Luigi Einaudi Research Fellow at the Cornell Institute for European Studies. Her dissertation, “The Past of Future Life: Anti-colonialism, Antifascism and the Socio-Poetics of Historical Time,” explores mid-century francophone engagements with the philosophy of history through poetic, theatrical and theoretical experiments that reimagined the relationship between politics and temporality. Broadly, Jackqueline is interested in the relationship between poetics and social emancipation, anti-colonial and third-world Marxism, the figure of the peripheral intellectual, and the political contours of tragedy. With Jorge Lefevre Tavárez (University of Chicago), she is currently working on the reception of francophone anti-colonial theory in 1960s Cuba and has begun a second book project on Tricontinental cultural politics in France and the UK. She lives in Paris and can be reached at jackqueline.frost[at]gmail.com. Alexander holds a Master’s degree in Spanish Literature from the University of Oxford, where he focused on olvido (forgetfulness and oblivion) in the works of Borges. He comes to Cornell to continue developing his research interests in twentieth century and contemporary Latin American literature, hoping to continue investigating on memory and olvido, presence and absence, and how such olvido might be a positive and necessary part of rewriting the past. His other interests include the intersections of philosophy and Latin American literature, especially its intersections with German existentialism and classical Greek philosophy. Richard Gibbs received bachelor’s degrees in Latin and Classical Civilizations, as well as a master’s degree in French Literature, from Florida State University. He is currently developing interests in the French reception of classical thought, and in theories of French prosody and poetic creation. Brandon Greer received his B.A. in French from New York University in 2016. His interests focus on the intersection of literature and philosophy in the modern novel, particularly in relation to the dissolution of narrative, problems of mimesis, and the nature of subjectivity. His other interests include theories of literary history and periodization, continental philosophy (aesthetics, phenomenology, and the French reception of the German philosophical tradition), trauma theory, and the philosophical ramifications of the Holocaust. Janet Hendrickson’s research interests include nonfiction, translation theory, media studies, hemispheric studies, and contemporary Latin American literature and visual art. Her dissertation examines recent works of literature and art that imitate sites and genres of reference—among them, encyclopedia, dictionary, archive, and notebook—to address questions about the relationship between art, fact, and truth. Before coming to Cornell, she received an MFA in nonfiction writing from the University of Iowa. 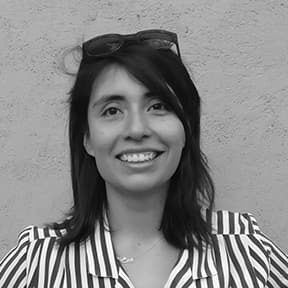 Eliana received her BA in Anthropology from Universidad de los Andes in Bogotá, Colombia. Her research interests include contemporary Latin American literature and visual art, gender studies, and environmental humanities. Before coming to Cornell, she received an MFA in Creative Writing from New York University. Nicholas Huelster is a PhD candidate in the Department of Romance Studies with a specialization in French Literature at Cornell. Before Cornell, he studied French and Francophone Studies, Humanities, Media and Cultural Studies and had a concentration in Critical Theory at Macalester College in his hometown of Saint Paul, Minnesota. His research interests include Arthur Rimbaud, 19th century French poetry, and literary theory. He is also interested in Montaigne, Poe, Baudelaire, Joyce, Proust, Lacan, Cixous, critical theory and French film. Hannah has come to Cornell via Kent State University where she completed a B.A. in French and International Relations, and an M.A. in Translation Studies. Her questions address issues of belonging and citizenship in a world marked by global capitalism; these interests were sparked by an enthusiasm for French hip-hop music and have evolved to explore racial formation in France and the United States, and from there, the ways in which rap artists perform subjectivity. Other avenues of inquiry involve Francophone literature, the Négritude Movement, postcolonial theory, and/or transnational flows of music. Cristina Hung comes from a Taiwanese family that immigrated to Chile. She received her B.A. in Spanish and French from New York University and her M.A. in Latin American Studies from Stanford University. She is currently writing her dissertation on empathy in contemporary Southern Cone literature and film, focusing on issues of violence and on the shift from empathy to the opposite spectrum of feelings, such as apathy, aversion, and hatred. Cristina’s other research interests include aesthetics, postcolonial studies, trauma studies, German cinema, and Chinese popular culture. She is also passionate about language teaching and hopes to develop a Spanish-Chinese translation and language learning digital platform in the future. Magdala Lissa Jeudy’s interests are situated at the intersection of medicine and nineteenth-century French literature. Her research focuses on the ways in which narrative, particularly in the naturalist novel, complicates the binary categories of the normal and pathological prescribed by the medical apparatus, thereby subverting theories of the body, medical practices, and philosophy. The theorists informing her research include Georges Canguilhem, and Michel Foucault. Her interests include the examination of naturalist narratives disruption of medical constructs of gender and race. Alex Lenoble’s research interests include Francophone and Caribbean literatures and cultures from the 20th to the 21st century with a special focus on Haiti. His work also deals with broader interdisciplinary fields such as critical theory, psychoanalysis (trauma studies in particular) and continental philosophy. Besides having taught all levels of French Language at Cornell, he led Freshman Writing Seminars in the Africana Studies Department: the intersection between gender, queer theory and critical race theory informs his teaching practice and involvement beyond the classroom. His dissertation, “How to Occupy the Real: Postcolonial Literatures beyond Representation” addresses the ways in which postcolonial authors respond to a historical exclusion from the symbolic; an exclusion that affected and continues to affect colonial and postcolonial subjectivities. He argues that “occupying the real,” that is putting pressure on the borders of the symbolic by experimenting with literary forms, might be one of the only strategy for postcolonial authors to express traumatic experiences of postcolonial (non)subjects. Additionally, Alex Lenoble is a member of Diacritic’s editorial board and an active contributor to the Intergroup Dialogue Project. Chenyun received her MA degree in Hispanic Literature from Peking University, China, where her focus was on Spanish Golden Age poetry, especially of Luis de Góngora y Argote (1561-1627). At Cornell, she will further develop her interests in early modern Spain, particularly probing into the symbiosis of poetics, authorial identity, and conceptualization of language within Spanish philological and intellectual history. Chenyun spends her spare time translating into Chinese Spanish modern poems. Montse es su heterónimo favorito. In her spare time, Chenyun translates Spanish modern poems into Chinese. I hold a Licenciatura in Modern Literature from the National University of Córdoba, Argentina, where I focused on contemporary literature from the Southern Cone. My broader research interests revolve around critical theory, materiality, environmental approaches to literature, and the links between aesthetics and politics. More specifically, my current research project deals with contemporary Latin American literature, wherein I take into consideration both its material form and its relation to the environment. Gianluca Pulsoni holds an MA in Cultural Anthropology from the University La Sapienza in Rome. His MA-thesis is a study of Yervant Gianikian and Angela Ricci Lucchi's cinema and exhibitions, read as historic(al) documents as well as a possible anthropology of memory, through the notions of "historiophoty" (H. White) and "social frameworks of memory" (M. Halbwachs). Gianluca has experience working with digital companies and publishing houses as editor and translator, and he is a contributing writer to the Italian newspaper, Il manifesto -- its cultural pages and weekly, Alias. My curiosity for Italian culture and history grew out of the time I spent in Florence during my B.A. at New York University, where I completed an undergraduate thesis in Global Liberal Studies and Italian Literature. Now as a third year PhD student, I am concerned with exploring the relationship between biopolitical thought and 20th century Italian literature and theatre, with a particular eye to how the limits of each may be discovered or even transcended via this relationship. Félix Miguel Rosario Ortiz is a third-year Ph.D. student in Romance Studies. Prior to Cornell, he received his Bachelor’s degree in Hispanic Studies from the University of Puerto Rico (2013), where he focused on the notion of spectacle in Caribbean prose. His current project examines the triumph of urbanity in Cuban fiction along with the symbolic metabolization of insularism as an existentialist element in Caribbean poetry between 1940 and 1970. Authors of significant research interest include: Virgilio Piñera, Roque Dalton, Calvert Casey, José María Lima, Fayad Jamís, among others. Arturo Ruiz Mautino received his BA and Licenciatura in Hispanic Literature from the Pontifical Catholic University of Peru (2017), where he focused on the connections between the essays of Jorge Luis Borges and reader-response theory. He is currently working on a theoretical framework for analyzing contemporary fiction of the Southern Cone and Spain, especially dealing with the intersection of literary genres, metafiction, and the fantastic. He is also interested in drama theory, contemporary aesthetics, and distant reading. Sarena Tien received her BA in French from Randolph-Macon College after spending a year abroad at the Université de Nice Sophia-Antipolis. She then taught English for two years through the programs TAPIF and City Year. Her research interests include applying theoretical models from postcolonial and intersectional feminism to French eighteenth century literature and culture. More broadly, she is interested in the intersections of race, gender, and identity and is eager to study how issues of patriarchy, colonialism, and heteronormativity inform the work of woman writers. Lia Turtas is a Ph.D. candidate in Italian Studies working across cinema, literature and philosophy. She received her M.A. degree in Visual Arts and Aesthetics from the Istituto Universitario di Architettura (IUAV) in Venice, Italy, and also holds degrees in Classics, and Arts Criticism and Management. At Cornell, she is completing a dissertation that reinterprets the history of Italian cinema from a posthumanist perspective, stemming from an innovative encounter between the nonhumanities, Italian thought, and archival research. I hold a Licenciatura in Hispanic Literature from the Autonomous University of Chihuahua, Mexico, and an M.A. in Spanish with specialization in Latin American Literature from The University of Texas at El Paso. Focused on the fields of border and migration studies, in my research I analyze the social and discursive intersections between speculation and environment. Yen Vu is interested in the cross-sections of Vietnamese and Francophone literature, literature and history. Her dissertation focuses on Vietnamese intellectual history in the early 20th century leading up to both Vietnamese anti-colonialism and communism as well as the French colonial project as extension and critique of the inherent paradox of European Enlightenment. Yen also has a passion for autobiographical and memorial writing, and theatre. Learn more at yennvu.com.